This is a Specialty Records Corporation pressing variant. For the Allied Record Company pressing see Disco Volante. with the artist's name, and album title printed on it. front of the insert booklet. back side of the insert booklet..
Second cat. # 2-45963 appears on the title sticker on the jewel case. 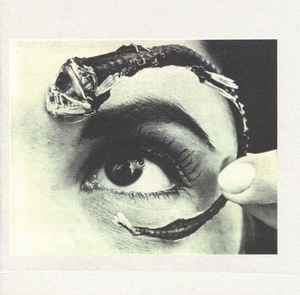 Disco Volante is undoubtedly one of the greatest underground albums in history and arguably the best of Mr Bungle's three classic LPs. Dark, murky and surreal, this sprawling opus goes from thrash metal over free jazz to doo-wop, surf and straight-up noise. Bungle's principal members Trey Spruance, Trevor Dunn and Mike Patton contribute fairly equally and much of the vibe of this record is still present in their current work, most notably in Spruance's Secret Chiefs 3 and Patton/Dunn's Fantômas. The fact that a record as strange and impenetrable as this was financed and issued by a major label is quite amusing, and it unquestionably ranks among the most bizarre albums to be released by Warner Brothers. One of the finest full-lengths of the '90s, Disco Volante is already heralded as a classic by the alternative community, and one can only hope that in future it is held in higher regard by the greater public.